The number of homes in 85083 that sold in Apr 2017 was 34 with 92 active listings for the month. The Avg. 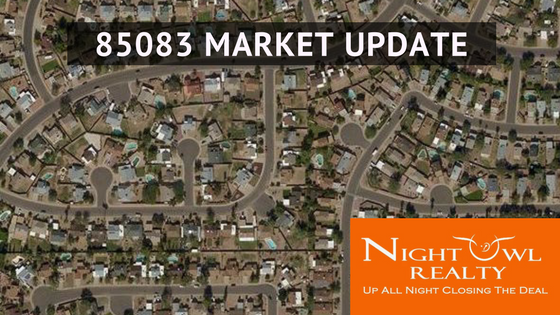 Sold Price of homes was $340,803 Up 3.5% with the Avg. List Price of $421,415 and Avg. Days on the Market was 88 days with a Closing Price Avg. of 96.7% to the Listed Price and a Avg. Price Per Sqft of $143 for Zip 85083. This has affected your 85083 Home’s Value! I would like to invite you to find out the new value of your home. Click the link below.